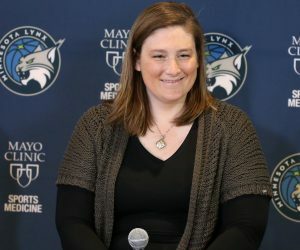 With about a month to go in the 2016 WNBA season, the Minnesota Lynx announced that they would re-sign guard Anna Cruz a day after the WNBA Olympic Break concluded. The Spaniard, who turned 30 years old on Oct. 27, completed her third WNBA season in 2016. After playing nine seasons overseas, she played for the New York Liberty during her rookie season in 2014 and was traded to the Lynx during the 2015 WNBA Draft. Cruz elected to not play in the WNBA prior to the Olympic Break, as she prepared to represent Spain in the Olympics. During the Olympics, Cruz averaged 8.5 points, 4.1 rebounds and 3.1 assists in eight starts for Spain, which fell to the United States in the Gold Medal Game to claim silver. 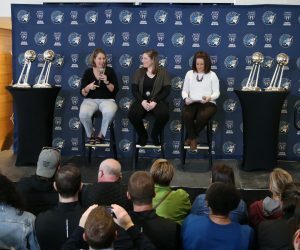 Five days after the Gold Medal Game, Cruz re-signed with Minnesota and helped the Lynx reach its fifth WNBA Finals appearance in the last six seasons. 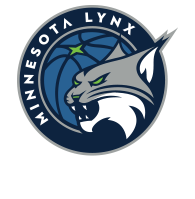 During the season, Cruz appeared in six regular season games for the Lynx. She averaged 2.8 points, one rebounds and two assists per game during that span. 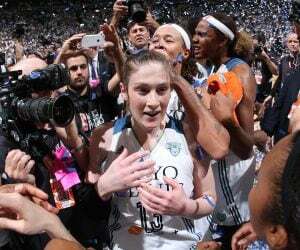 In the playoffs, she played in five games, averaging 1.2 points, one rebound and 1.2 assists in 8.5 minutes per game. In the 113-95 win over the Phoenix Mercury in Game 1 in the semifinal round of the WNBA Playoffs, Cruz finished with five points, four rebounds and two assists in 14 minutes off the bench. She shot 2-for-4 from the field, including 1-for-1 from three. In the 82-75 win over the Fever at Bankers Life Fieldhouse, Cruz played a season-high 20 minutes and finished with five points, four assists and two rebounds. She shot 2-for-3 from the field and 1-for-1 from behind the arc in the game. In the 98-97 loss to the Chicago Sky at Allstate Arena, Cruz recorded a season-high eight points and added one assists in 15 minutes on the floor. She shot 3-for-5 from the field and 2-for-2 from the free throw line. Cruz is spending her offseason playing basketball overseas in Russia for Dynamo Kursk. In four games in the Premier League, she is averaging 5.5 points, 4.8 rebounds and 4.3 assists in 25.4 minutes per game. She is shooting 33.3 percent from the field, 40 percent from three and 66.7 percent from the free throw line. In four games in the EuroLeague, she has averaged 6.8 points, 4.5 rebounds and six assists while getting 32.9 minutes per game. She is shooting 30.3 percent from the field, 50 percent from behind the arc and 50 percent from the free throw line. Although her time with the Lynx was limited in 2016, Cruz provided a spark off the bench for the Lynx down the stretch. 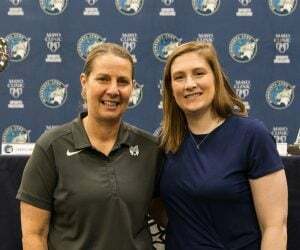 Her ability to shoot the ball well, score when needed and provide energy off the bench has been key to Minnesota last season, as well as the Lynx’ 2015 championship season. In 2017, will have the ability to do a lot of the same as she enters her fourth season in the WNBA.